In our goal to eat healthier, and to take advantage of available summertime foods, my thoughts usually run to a simple one-dish cold salad. 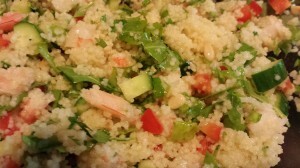 My Citrus Shrimp Couscous Salad is a refreshing main course that can also serve as a colorful side dish to a piece of grilled fish. It’s a very colorful salad that will entice even the pickiest eater! Make it the night before and let it sit in the fridge to serve the next day. I like to use meats and seafood as enhancements to a meal. A few pieces of shrimp are just enough for this delicious cold salad. 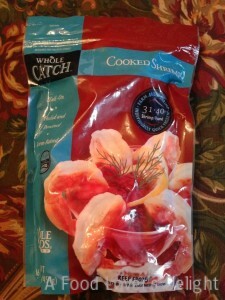 Whole Foods Market‘s pre-cooked frozen shrimp are good to have on hand in a pinch. 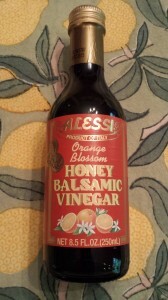 A unique ingredient for this salad is Alessi’s Orange Blossom Honey Balsamic vinegar. If you can’t find this version, use white balsamic vinegar. 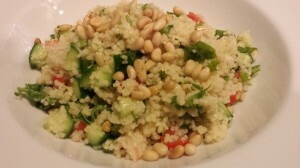 Start with some cooked and cooled couscous. 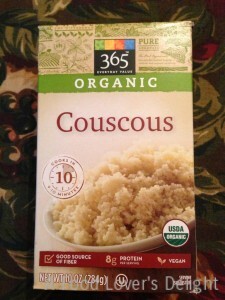 Couscous is a delicate grain that is used in Mediterranean cooking. It’s widely available at most supermarkets. Add to that some crisp chopped chilled cooked shrimp, diced red bell pepper and cucumber, sliced scallions, chopped cilantro, and toss with a a nice citrusy dressing of freshly squeezed Valencia orange juice, Alessi Orange Blossom Honey Balsamic Vinegar , honey, and canola oil. Season with salt and pepper. 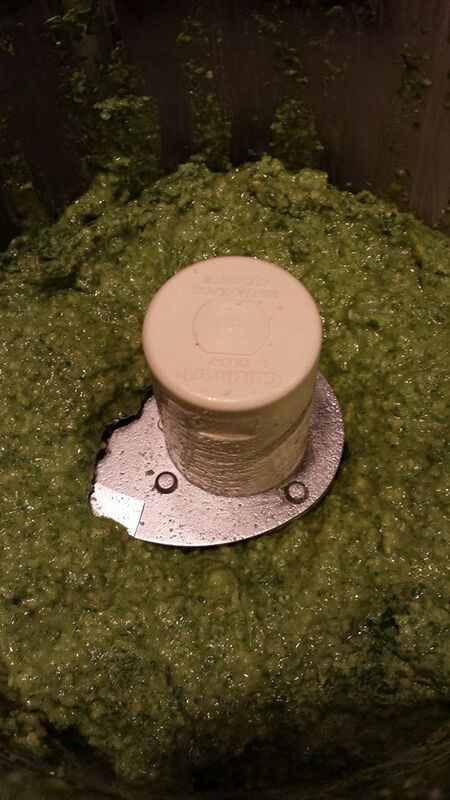 Refrigerate for a few hours or overnight to let the flavors meld together. 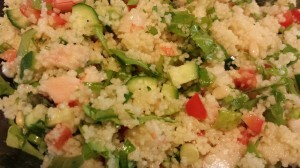 I like to serve this salad as a main course with some hummus and pita bread. Additionally, I’ve served the salad over a bed of arugula as a “big salad” option. Take it to a picnic and wow your friends! Enjoy! 1. To make the citrus dressing, whisk together the orange juice, vinegar, honey, and canola oil until combined. Set aside. 2. In a non-metallic bowl, combine the cooked and cooled couscous, chopped shrimp, bell pepper, cucumber, cilantro and scallions. 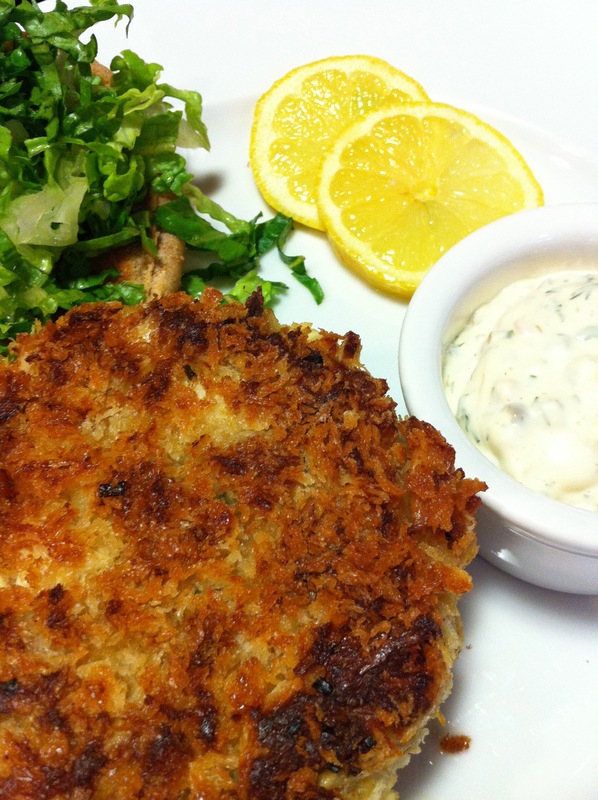 Combine with the citrus dressing. 3. 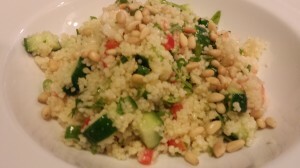 You can serve this salad right away, although I prefer to chill the salad for at least two hours or overnight, stirring once or twice. The longer the salad sits, the more the flavors will enhance, and the dressing will be absorbed. Season with salt and pepper. 4. When ready to serve, divide amongst four plates, and top with the toasted pine nuts. Serves 4 as a main course. Offer with your favorite hummus and some warmed pita bread. 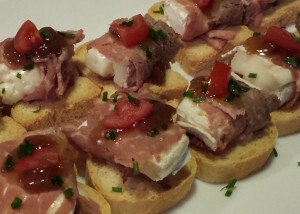 Serve as a side dish on a lunch summer buffet. Variations: Use extra virgin olive oil and white balsamic vinegar instead of the canola oil and orange blossom honey balsamic vinegar. You can use whole cooked tail-on shrimp for a different presentation. Add some chopped cooked salmon, tuna, or other fish instead of the shrimp.